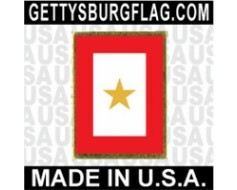 Service Star Banner (1 Gold Star) - 8x14"
Created in 1917, these banners were popular during WWI & WWII. 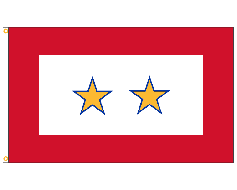 They are displayed by a family to show that they have a member currently serving in the armed forces. 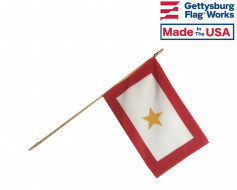 Made for display in the front window of your home. 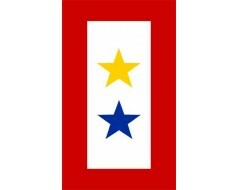 Each gold star represents one person (family member) lost while serving. 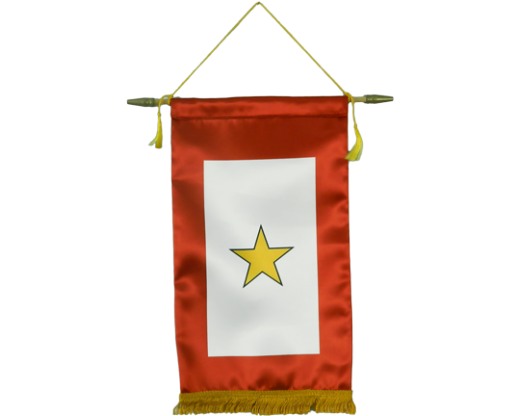 8x14" Printed satin with a wooden staff and a gold cord 7 tassel. 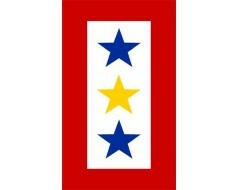 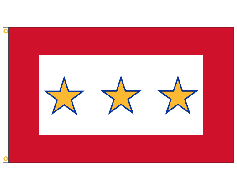 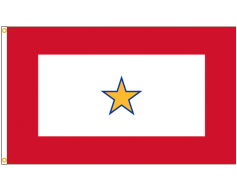 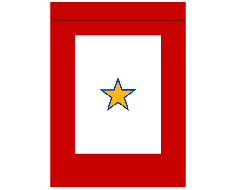 You're reviewing: Service Star Banner (1 Gold Star) - 8x14"